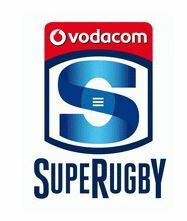 The Vodacom Bulls returned to winning ways and to the top of the South African Conference table thanks to their 32-17 Vodacom Super Rugby win over the Reds on Saturday evening in Pretoria. On Friday, the DHL Stormers beat the Rebels 41-24 in Melbourne to finish their four-match Australasian tour on a positive note. In their match on Saturday afternoon the Cell C Sharks succumbed to a disappointing 51-17 loss to the Jaguares in Durban, while the Emirates Lions stumbled in their tour opener when the Brumbies won their Canberra clash by 31-20. The Pretoria side is now top of the local log with 23 points from eight matches and they are followed by the Durbanites on 21, the Jaguares (19), DHL Stormers (18) and the Emirates Lions (18). Springbok lock RG Snyman celebrated his return from injury with a high quality performance for the Vodacom Bulls who stampeded the Reds 32-17 in their game on Saturday evening in Pretoria. The Jaguares brought the Cell C Sharks down to earth with a hefty bump when they outclassed the home side for a comprehensive 51-17 triumph in Durban on Saturday afternoon. The Durbanites were superb in their previous outing against the Emirates Lions in Johannesburg, but on this occasion they struggled on home turf against the well-organised South Americans. A poor defensive efforts saw them conceding seven tries and by halftime they were already 21-10 behind and chasing the game after the visitors had scored three times. 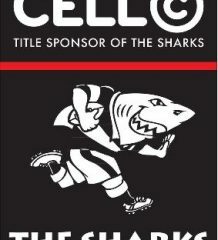 The 51 points scored by the Jaguares is the second-most ever conceded by the Cell C Sharks in Durban – one less than the 52 scored by the Crusaders at Jonsson Kings Park in 2015. The international-laden Jaguares stamped their authority from an early stage and kept the pressure on throughout while keeping the scoreboard ticking at regular intervals. Hyron Andrews and Aphelele Fassi scored for the home side, while Matias Orlado led the scoring spree for the visitors with a hat-trick of tries, followed by Tomas Cubelli, Pablo Matera (2) and Matias Moroni. The Emirates Lions fought gallantly, but in the end the Brumbies were too good and secured a 31-20 victory in Canberra on Saturday morning (SA time). It wasn’t the start to their Australasian tour the team from Johannesburg would have hoped for and they must now regroup for their remaining tour matches against the Chiefs and Crusaders. Springbok flyhalf Elton Jantjies scored a converted try 10 minutes into the second half, but just as it looked like the Emirates Lions were playing themselves back into the match, Tom Banks and Wright scored as the hosts pulled away to stretch their lead to a comfortable 31-15 margin. Sylvian Mahuza scored a consolation try for the Highvelders. A strong finish by the DHL Stormers saw them clinch a 41-24 win over the Rebels in Melbourne in their round nine clash on Friday afternoon (SA time). They were solid on defence and made full use of their scoring opportunities to score tries through Dillyn Leyds, Damian de Allende, Nel (2) and replacement forward Juarno Augustus. Jean-Luc du Plessis (flyhalf) added two conversions and a penalty goal, while replacement Josh Stander also hit the target with three conversions and a penalty goal. The Cape side led by 10-3 at the break, courtesy of Leyds’ early converted try, and a penalty goal. They added four more tries in the second half, three of which came in the first 15 minutes after the break during which time the DHL Stormers heaped more pressure on the Rebels and moved into a commanding 21-point lead. The win moved the DHL Stormers (18 points) from the basement to third in the South African Conference, while the Melbourne side remain top of the Australian table despite this defeat. Robbie Fleck’s side now travel home to face the Brumbies at DHL Newlands next weekend, while the Rebels travel to Sydney for their next match against the Waratahs. Rebels 24 (3) – Tries: Reece Hodge, Will Genia, Campbell Magnay. Conversions: Quade Cooper (3). Penalty: Cooper. DHL Stormers 41 (10) – Tries: Dillyn Leyds, Juarno Augustus, Damian de Allende, Ruhan Nel (2). Conversions: Jean-Luc du Plessis (2), Joshua Stander (3). Penalties: Du Plessis, Stander.